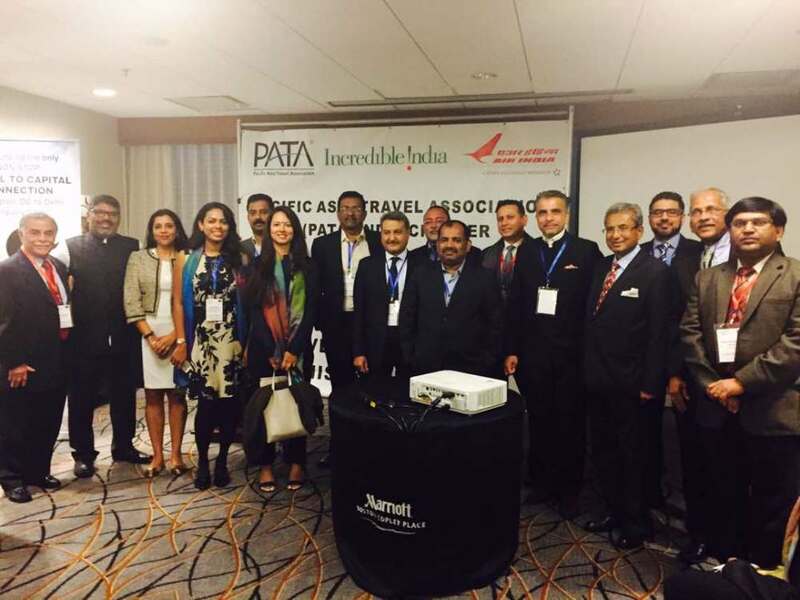 PATA India Chapter, in cooperation with Ministry of Tourism, Government of India, conducted its business development roadshow in USA and Canada from May 30 – June 8. The Roadshow commenced in Toronto, Canada on May 30 and moved on to USA with its first show in Boston followed by Chicago, Houston, and finally New York where two roadshows were held. Roadshows are aimed to promote inbound tourism from these important and emerging source markets for India. USA alone contributes nearly 15 pc of FTAs in India and is the leading source market. These markets have a variety of travellers, including both high-end as well as mid-market. The idea is to give the buyers and key influencers, a taste of Incredible India. The Indian Consul General in Toronto, Chicago and Houston spoke to the participating buyers and assured them of their fullest cooperation to not only facilitate travel to India but also partner in promotional activities. At Houston, the event was held at the Consul General office which was appreciated by both buyers and sellers alike. The enthusiasm of the sellers from India and their counterparts from USA and Canada was palpable. There was a diverse group of tourism professionals from India, both in terms of, product and geographical spread. In addition to the traditional, cultural and historical products on offer, India was showcased by two leading hotel chains, river cruise companies, destination management companies from South and East India. “Buyers experienced the much fabled Indian hospitality and cuisine and 12 lucky winners won a trip to India together with a companion. We are confident the experience will be memorable and rewarding,” added Sangha. Founded in 1951, the Pacific Asia Travel Association (PATA) is a not-for profit association that is internationally acclaimed for acting as a catalyst for the responsible development of travel and tourism to, from and within the Asia Pacific region. The Association provides aligned advocacy, insightful research and innovative events to its member organisations, comprising 95 government, state and city tourism bodies, 29 international airlines, airports and cruise lines, 63 educational institutions, and hundreds of travel industry companies in Asia Pacific and beyond.